That's my little girl Tammy, in a photo made by my friend Tim Talley. Just one of many things I have learned in the past few years. 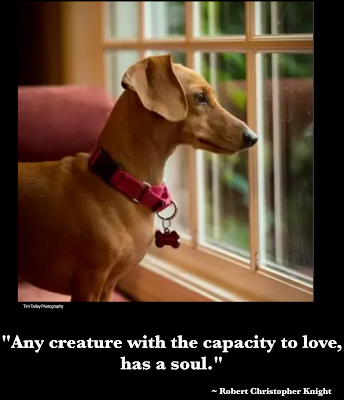 And anyone who claims that a dog or cat doesn't have a soul, has obviously never owned one.